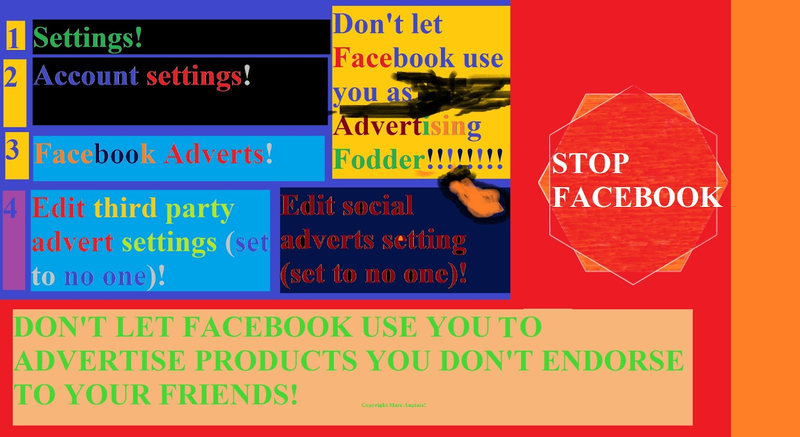 ~The SACNS News Service: Stop Facebook Using You To Endorse Products! Stop Facebook Using You To Endorse Products! Stop Facebook Using You To Endorse Products! Don't let Facebook use you as Advertising fodder to Advertise Products you don't endorse to your friends! Stop Facebook from doing so, change your settings!